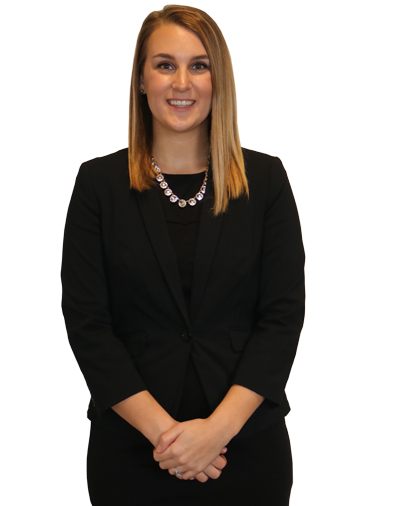 Kayle Newberry is a Paralegal with the law firm of Renee E. Mura, S.C. She graduated from the University of Wisconsin-Whitewater with an undergraduate degree in Political Science. Kayle also obtained her paralegal certificate while earning her degree. While attending the University of Wisconsin-Whitewater, Kayle interned for the Kenosha County District Attorney’s Office assisting with a variety of cases. In January 2017, Kayle obtained her Masters in Business Administration from Kaplan University. In Kayle’s free time, she enjoys traveling, working out, and spending time with her husband, Alex, and her dog, Colbie.